There are a lot of people who wonder how to diagnose pancreatic cancer. However, such people are not aware of the pancreas itself which gives them mere understanding of pancreatic cancer. The pancreas produces insulin which helps in regulating the level of sugar within the human body. Pancreatic cancer is the result of the abnormal growth of malignant cells within the pancreas. This is a life threatening condition which is common among older people. Severe pancreatitis is the result of consuming alcohol in large amounts. However, pancreatic cancer can also be caused due to family history or genes. 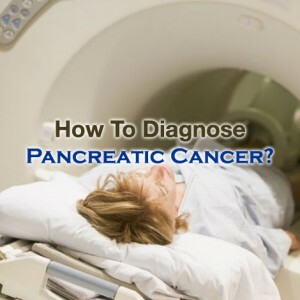 So, How to Diagnose Pancreatic Cancer? The doctor generally asks about the medical history of the patient for checking the risk factors of this type of cancer. Doctors also do this for knowing more about the symptoms that patients might be having like change in appetite, tiredness, weight loss and pain. A physical exam is mainly focused on the belly or the abdomen for checking fluid or masses build up. The cancers that serve as an obstacle for the bile duct might result in the enlargement of the gallbladder which can be determined in the physical exam. These tests make use of MRI, Endoscopic ultrasound, Positron emission tomography and Magnetic resonance cholangiopancreatography (MRCP) for creating pictures of the internal parts of the body. These tests might be carried out for detecting the suspicious parts of the body that might probably be cancer. Computed tomography scan or CT scan makes use of x-rays for producing detailed cross-sectional images of the body. These are generally used for diagnosing pancreatic cancer since they can highlight the pancreas clearly. Diagnosing of pancreatic cancer is also with help of biopsy through Fine-needle aspiration. This is a procedure which involves removing a small portion of tissue for examining it under the microscope. This can actually help in detecting pancreatic cancer. Liver function test can also be done for detecting pancreatic cancer. Patients with pancreatic cancer the tumor marker CA19-9 is in elevated levels. But, this blood test does not help in accurate diagnosis as in some pancreatic cancer patients does not have high levels of CA19-9.